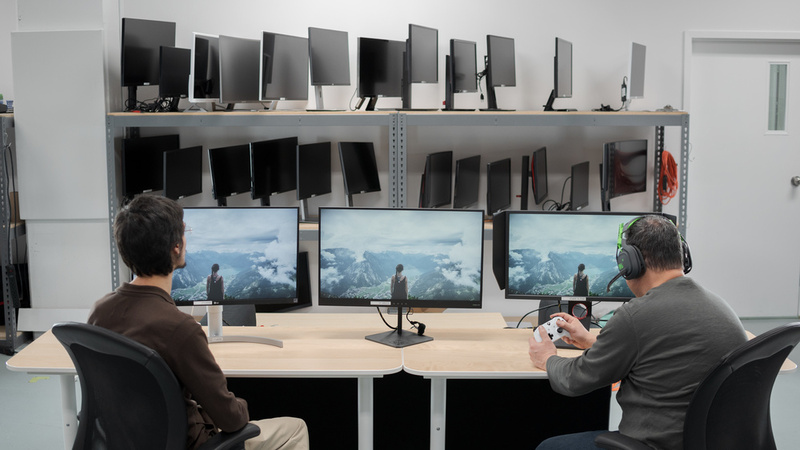 Whether you are a PC gamer with an AMD graphics card or an Xbox One S/X owner, FreeSync support is a must when choosing a new display. Thankfully, FreeSync monitors have drastically come down in price and are available for any budget. 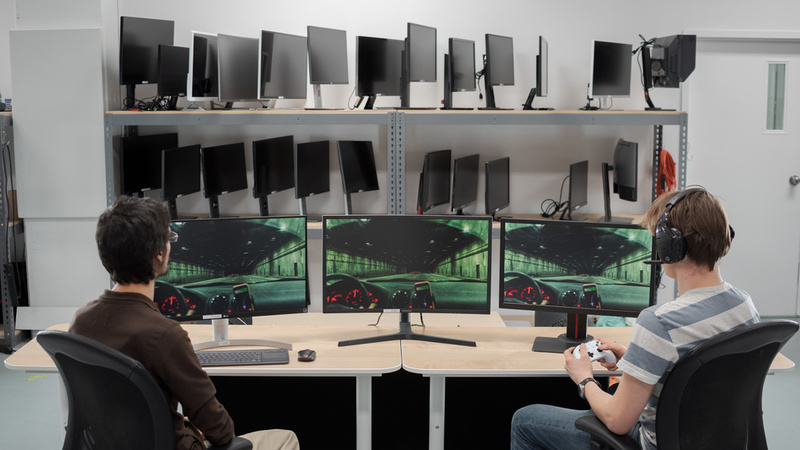 From basic 1080p gaming displays to the most advanced 4k monitors with HDR, there is something for every use. 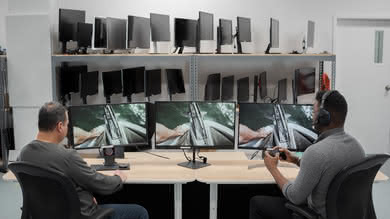 Most of our top picks are great for any usage, as most people don't use their monitor just for gaming. 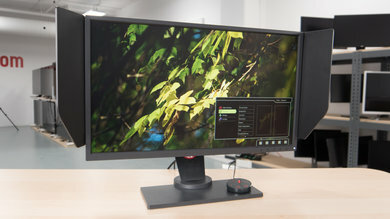 We've reviewed 64 monitors and below are our picks for the best FreeSync monitors available for purchase in 2019. 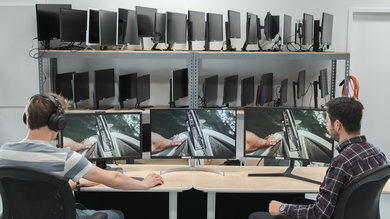 See our recommendations for the best gaming monitors, the best monitors for photo editing, and the best curved monitors. 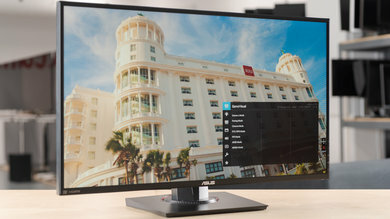 The ASUS VG279Q is the best FreeSync monitor that we've tested so far. It delivers decent picture quality, with great peak brightness, wide viewing angles, and excellent gray uniformity. It also has a great design with outstanding ergonomics, making it very easy to place it in an ideal viewing position or share your screen with other people. The ASUS VG279Q delivers outstanding gaming performance. It has an incredibly fast response time that delivers clear motion, with very little blur trail behind fast moving objects. It has a wide FreeSync refresh rate range and fast 144Hz refresh rate, great for even the most demanding gamers. It has excellent low input lag for a responsive gaming experience. Unfortunately, like the majority of IPS monitors, the VG279Q doesn't look as good in a dark room. It also has a limited 1080p resolution that may be disappointing to some users. Overall, though, it is a very good monitor with an excellent gaming performance that should please most people. 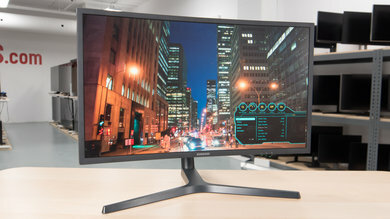 If you would prefer a 1440p monitor for a more immersive gaming experience, check out the Samsung CHG70 instead. 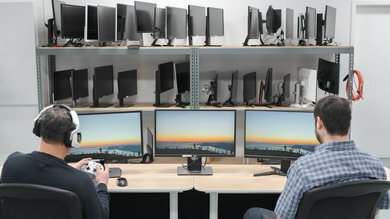 This 27", 1440p monitor delivers an excellent gaming experience, with a fast response time, low input lag, and wide FreeSync range for a nearly tear-free gaming experience, even if your computer can't quite keep up in graphically demanding scenes. Unfortunately, the image on the CHG70 degrades when viewed at an angle, but it looks better than the VG279Q when viewed in a dark room. 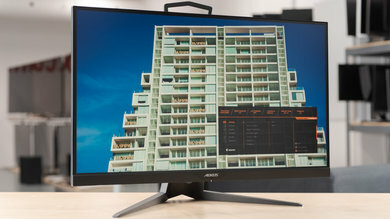 Overall, the CHG70 is a very good monitor for most uses and is an excellent FreeSync gaming monitor. 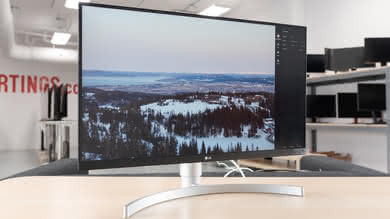 If you prefer a higher resolution screen, the LG 27UK650 is the best 4k FreeSync monitor that we've tested so far. 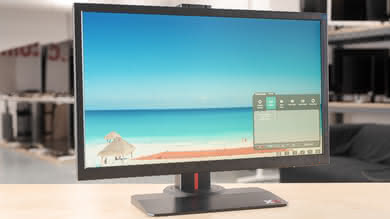 It is a very good 27" monitor that delivers good picture quality, with wide viewing angles and great peak brightness. Gamers will appreciate the low input lag and excellent motion handling. The 4k resolution delivers a greater level of detail in your favorite games, but this comes at the cost of a lower refresh rate. 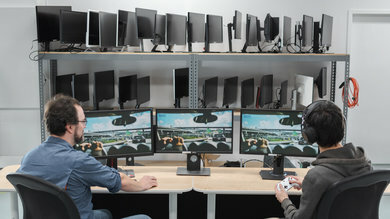 The 27UK650 supports FreeSync, with a great range over HDMI and DisplayPort. This is great for PC or Xbox One gaming. Unfortunately, although it supports HDR, it doesn't deliver the best HDR experience, as it can't display a wide color gamut and has limited HDR brightness. 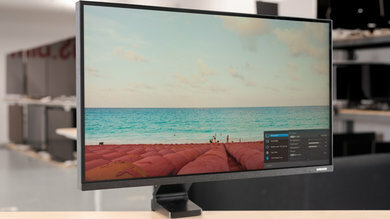 Overall, the 27UK650 is a very good 4k monitor that should please most people. 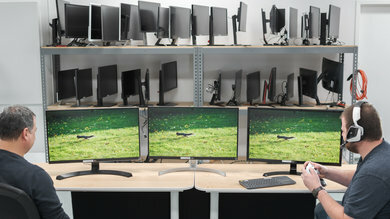 If you like the LG 27UK650 but would prefer something with a larger screen, check out the LG 32UD99 instead. 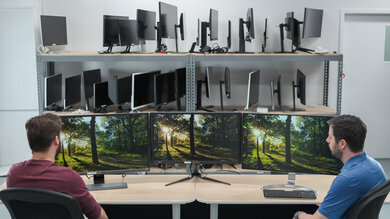 Both monitors perform very similarly, with no significant performance difference between them. 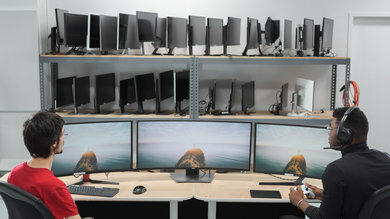 It has a larger, 32" screen, which translates to 40% more viewing area. This makes it easier to see more of your workflow or to multitask. 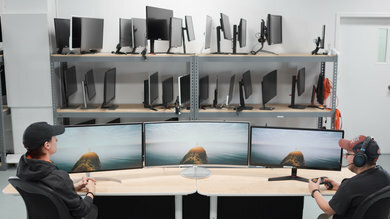 The 32UD99 also has a USB hub built-in, so you can clear up your workspace and have fewer cables running to your computer. This is especially great if you're using a laptop. 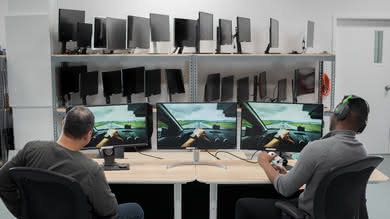 If you have an older computer or older game console that can't output higher resolutions, the BenQ Zowie XL2540 is the best 1080p FreeSync monitor that we've reviewed so far. The Zowie is an excellent gaming monitor that unfortunately isn't quite as versatile as some of the other monitors on this list. 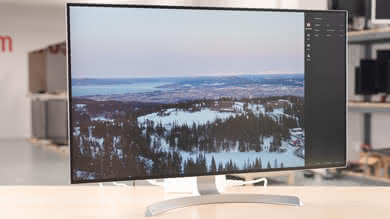 It has an incredible 240Hz refresh rate that delivers outstanding motion performance with very little motion blur. 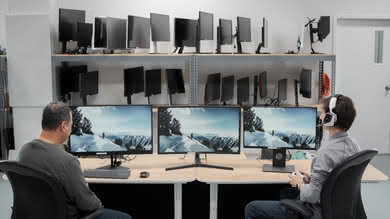 It also has outstanding low input lag and a very wide FreeSync range that ensures a consistent tear-free experience. Unfortunately, the XL2540 has a TN panel, poor dark room performance, and poor viewing angles. 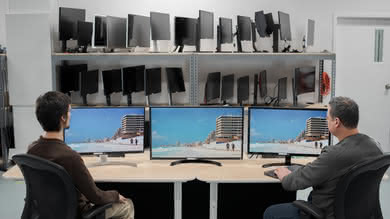 This can bother some people as the edges of the screen can appear different from the rest when sitting too close. Overall, it is a decent monitor for mixed-usage, and an excellent gaming monitor that should please most people. If you want a cheaper alternative to the BenQ Zowie XL2540, the ViewSonic XG2402 is the best budget alternative that we've tested so far. It has an excellent 144Hz refresh rate, and it supports FreeSync over HDMI and DisplayPort. 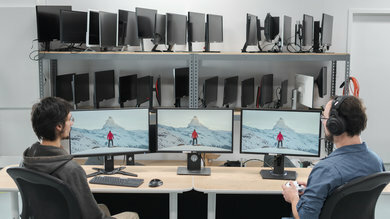 Unlike many FreeSync monitors, it has the same excellent FreeSync range regardless of your choice of connector. When the action gets too intense and your frame rate drops, it uses LFC to compensate, ensuring you always get a smooth, tear-free gaming experience. Unfortunately, the TN panel used in the XG2402 has its own set of flaws. 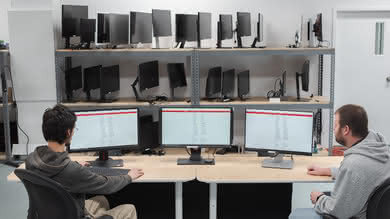 Like IPS panels, it doesn't perform that well in a dark room and it doesn't have a wide viewing angle either. 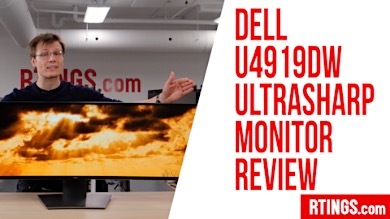 Overall, it is a decent monitor with impressive gaming features, and it is available at a very low price. 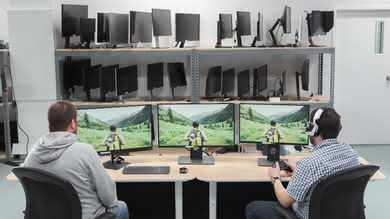 Our recommendations are based on what we think are the best FreeSync monitors currently available. They are adapted to be valid for most people, in each price range. Rating is based on our review, factoring in price and feedback from our visitors.